In order to meet the provisions of the clients, we are providing Multimedia Projection Installation Services. This service is largely well-liked by the patrons for their timely completion. Our provided service is available in varied forms that meet on customers demand. We will Provide Projector installtion service with Accesories in Nagpur, hinganghat, chandrapur, bhrampuri, wani, gondia, kalmeshwar, kampti, wardha and nearby area. Leveraging on the capability and expertise of our capable employees, we are immersed in the arena of presenting Multimedia Projectors Services. Delivered and imparted by some of the deft executives, these services are enormously applauded and acclaimed. As well, we guarantee of incorporating the demands of our clients in these services. These could be acquired from us at rock bottom rates. 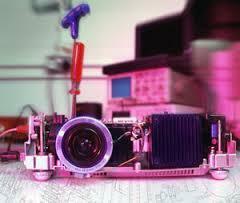 We are a well-known organization that is into providing a wide assortment of Projector Installation Service. Being a well-distinguished company in the market, we are into offering LCD Projector Installation Service.